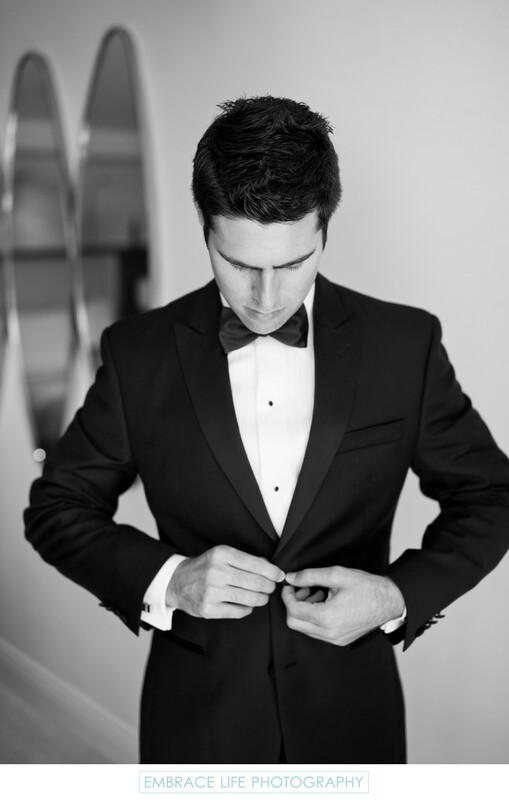 Black and white photograph of the groom buttoning his tuxedo jacket on his wedding day at The London West Hollywood. Classic black tie styling is always a good choice for an elegant wedding, even at a modern style hotel like The London. Keywords: Bride and Groom (255), Wedding (1437).